Parents are generally in favor of supporting their children any way they can, but may also have a reluctance to part with money they do not believe is being spent wisely or see the amount requested as excessive. Trying to pay child support on one income comes with many challenges, and divorced or separated parents are often required to make lifestyle adjustments to meet their financial obligations. 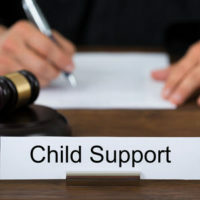 The obligation to support a child exists whether the parents are married or not, but this obligation is usually only enforced by court order if a couple divorces or when a parent petitions to establish child support, typically in connection with a paternity suit or child custody matter. Additionally, child support can be established through an administrative process with the child support division of the Florida Department of Revenue. This obligation to provide support lasts as long as the child is considered a minor, and covers the costs of necessities for the child (food, shelter, clothing, etc.). It also includes health insurance coverage for the child in most cases. Generally, the parent with the most parenting time will receive support from the other parent. However, the questions most parents are concerned with are how much the child support payment will be, and for how long does child support have to be paid. A discussion of the formula used to calculate child support and circumstances that allow a parent to terminate child support will follow below. Florida determines child support based upon the income of both parents under the “Income Shares Model,” which means child support is based on the standard of living the child would have enjoyed if the parents stayed together, as well as the number of children. The calculation starts with the gross income of both parents, minus allowed deductions (health insurance for the child, daycare and child support/alimony from a prior marriage, for example) to arrive at the net monthly income for each party, which is then plugged into the state child support guidelines to determine the monthly minimum support a child needs. The percentage of child support each parent is responsible to cover depends upon the amount of parenting time each has and his/her income. While the amount listed in the guidelines is usually adopted as the monthly child support obligation, courts can deviate from the guidelines up to five percent without making written findings, but larger deviations must be based upon articulated extraordinary circumstances, such as high recurring medical expenses, one parent having significant personal assets, the child having special needs, or the income of one parent varying seasonally. Generally, child support obligations end when a child turns 18, but whether the parent can simply stop making payments without further action depends on a few factors. While Florida law requires child support orders to include end dates, it is not always included. If no end date is listed, it is best to return to court and have the obligation formally terminated to save trouble in the future. However, if child support payments are made directly to the other parent, the obligated parent could simply stop paying since the state is not tracking the payments. But, the vast majority of child support payments are made through the State Disbursement Unit, and a court order officially terminating the disbursement account is necessary to avoid charges of failing to pay child support. Further, even though 18 is the standard age for child support to end, the obligation may be extended to age 19 if the child is still in high school and expected to graduate. Additionally, obligations to support a special needs child may never end. Child support is a topic that tends to spark a lot of emotions, and someone with concerns about this issue needs answers about his/her rights and obligations. Orlando’s Donna Hung Law Group understands how important this issue is, and can help ensure you are treated fairly and your family is adequately protected. 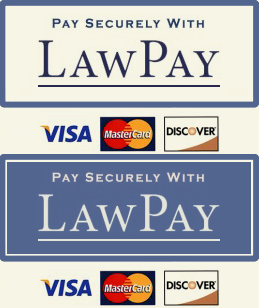 Contact the office today at (407) 999-0099 for a confidential consultation.